In paragraph 38, the bishops lay part of the blame for the erosion of the tradition of popular at the feet of mass media. In the last decades mass media has invaded Latin America. In 1992, in a rural Salvadoran village without electricity or water, people hooked up a television to a battery to show an action movie. Now with the advent of electricity in many rural communities, television and other mass media are omnipresent. Where before people would sit around and tell stories or play games, now the television rules – and not just for the football games! Cell phones are widely available and even people from villages without electricity can connect with their cell phone. … Our cultural traditions are no longer handed on from one generation to the next with the same ease as in the past. That even affects that deepest core of each culture, constituted by religious experience, which is now likewise difficult to hand on through education and the beauty of cultural expressions. It even reaches into the family itself, which, as a place of dialogue and intergenerational solidarity, had been one of the most important vehicles for handing on the faith. The mass media have invaded every space and every conversation, making its way also into the intimacy of the home. Now standing alongside with the wisdom of traditions, in competition, is up-to-the-minute news, distraction, entertainment, the images of the successful who have been able to use for their advantage the technological tools and the expectations of social prestige and esteem. The result is that people seek over and over an experience of meaning that would fill the requirements of their vocation in places where they will never be able to find it. The bishops believe, perhaps a little naively, that dialogue within the family, education, and the beauty of cultural expressions were ways the faith was handed down. Is it an overstatement to contend that “The mass media have invaded every space and every conversation, making its way also into the intimacy of the home”? Here is the USCCB translation of the 2007 document from the Aparecida Conference. lay missioner with the Catholic diocese of Santa Rosa de Copán, Honduras, since June 2007, living and working in the parish of Dulce Nombre de María. 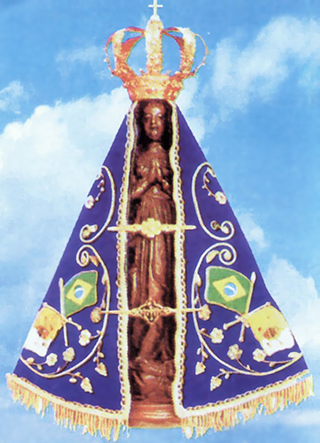 This entry was posted in 2007 Aparecida document, bishops, evangelization, Guest Writers, John Donaghy and tagged Aparecida. Bookmark the permalink.